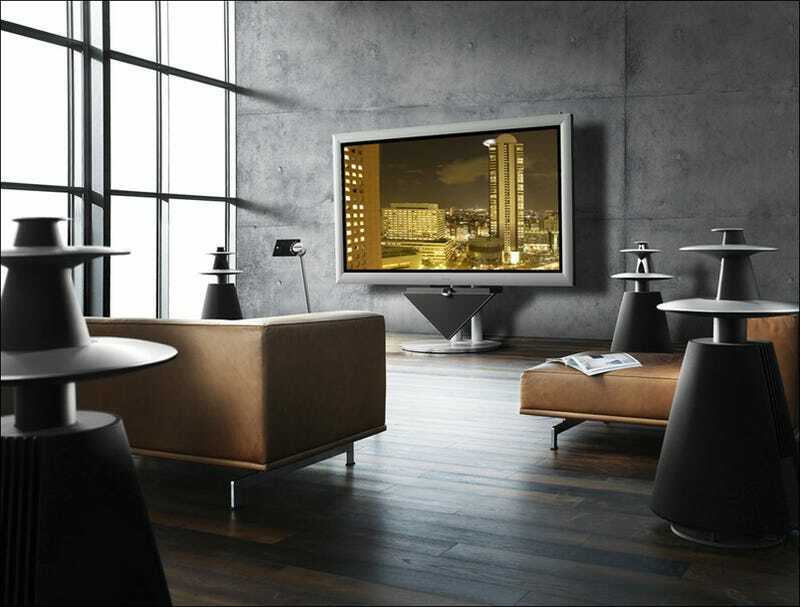 At over $135,000, Bang & Olufsen's BeoVision 103-inch plasma set costs nearly triple Panasonic's 103-inch baby or just as much as the 150-inch plasma champion of the world. Why? Besides the fact it's from the B&O, when you turn the monster on, it comes alive, the stand elevating itself to your viewing level as the ten-inch loudspeaker emerges from the bottom the of the frame. It turns and tilts too. Also, every 120 hours it re-calibrates itself. Now that is luxury.